Initially there was the Facebook persona profile and, since that was all we had, businesses jumped in and made the best of using this not so ideal business tool. Then came business pages and again businesses embraced them and in many cases tried to separate business and personal with this approach. With the recent overhaul of the personal profiles another kind of use has been created – one that may have some business folks moving back to the personal profile. The subscribe function introduced recently allows Facebook profile owners to offer the ability for people who are not friends to subscribe to receive updates that are marked public. Now, couple this with the fact that Facebook has made it much easier to share with selected groups and you’ve got the makings of a nice business tool that is actually more suited for celebrities, authors, experts and independent business owners than a Facebook page. If you want people to subscribe to your public updates you must first turn this function on here. Once you do so you then must use the public setting to mark who can see an update. Of course, you’ll want to pay attention to that setting and make sure you only use it for things you want public. Facebook claims that a tool, which would allow fan page owner to convert fans to subscribers of the personal profile is in the works. High profile Facebook employees, including founder Mark Zuckerberg appear to have done this migration already. Two big changes, the cover photo and the Time Line, offer the business user a better tool. The cover photo is one dominating image that could be used very effectively by an expert wanting to showcase speaking for example. The new view also presents the public information in a what I think is a more user friendly manner. Here is Facebook’s official information on the Cover image. Expect designer types to have a blast hacking this image into some pretty cool things, but for now know that you need to look for an image with a width of 833px and a minimum height of 310px. Facebook makes it easy to position an existing image of most any size as well, but images that are already large in size will show better. 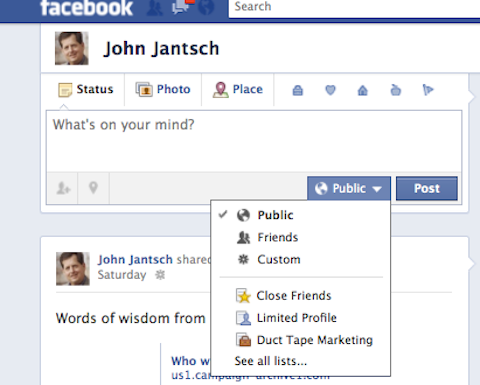 You can upload new photos or simply choose a photo in one of your Facebook albums to act as your cover photo. 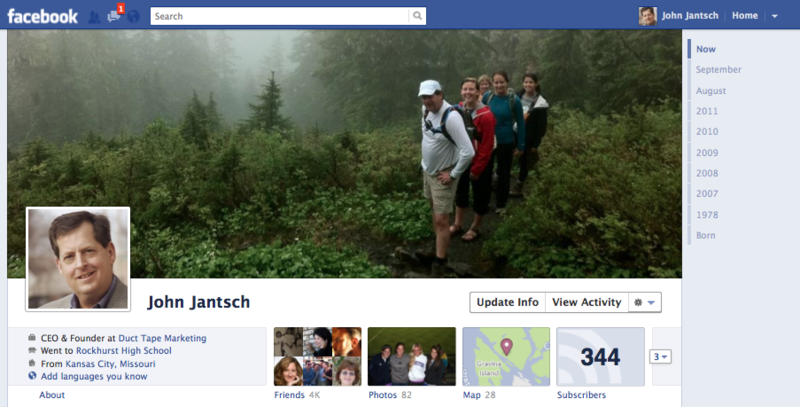 MyFBCovers offers some simple ways to create custom cover images and cover collages made up of images of friends.